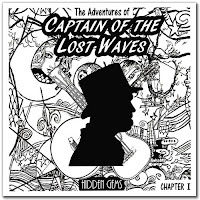 There is something wonderfully eccentric and marvellously theatrical about The Adventures of Captain of the Lost Waves. They throw everything into their music so much so that it’s hard to take it all in with just one listen of their debut album. 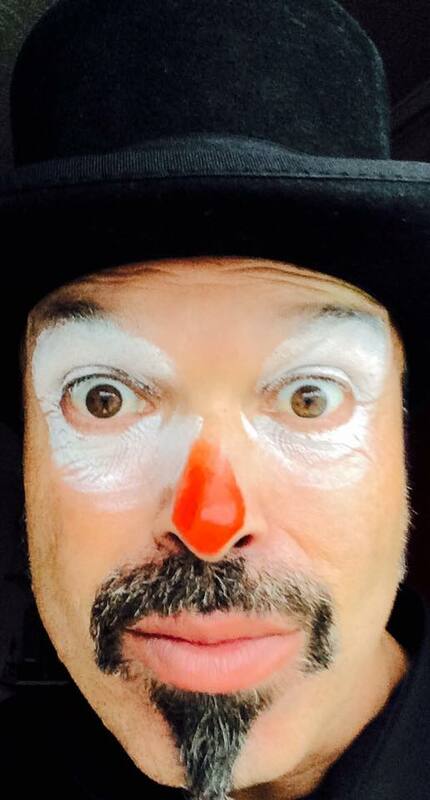 From the deliciously original artwork of Damian Clark to the music of Murray Grainger, Tony Taffinder and Dave Bowie Jr, Hidden Gems is circus, it’s enticingly macabre, it’s Gothic, it’s eerie, it’s playful, it’s music hall, hypnotically irresistible and indulgently artistic. The adventure begins with Grand National with the clear and unmistakable voice of The Captain which uses the analogy of the famous race to create a picture of life where some are winners some are losers and some just run the race and go about their lives. At will his vocal style switches from singing to chanting, to yodelling to what is sometimes almost rap. He can also bring a haunting quality to his voice which is quite unnerving. Another Planet has a delicious dark quality to it thanks to The Captain who you can almost see as a scary storyteller moving in and out of shadows holding his listeners in his thrall. Add to this the music which is the wrong side of crazy and you have a track which could be from the imagination of Tim Burton or Roald Dahl. This gives way to the sound effects opening of Happy In Bed which is a cryptic song with the simple surface premise of being too comfortable in bed to move. But as the song unfolds you realise The Captain has the whole universe with him. Danger is pure cabaret, this time with The Captain vocally camping things up a little like Jim Carrey as Count Olaf in Lemony Snicket. This is one of those songs where they have crammed everything in, sound effects which along with the music transport you from a Parisienne smoke filled club to a travelling sideshow somewhere in Eastern Europe populated by all manner of bizarre characters in the blink of a note. Like all good mysteries there are deeper messages in there for the listener to tease out. In some ways Summer seems a little out of sync with the previous songs in that it’s noticeably conventional apart from occasionally having the feel of a chant, however the music is powerful, full bodied and races along with The Captain’s vocals perfectly. It segues into Fat Freddy’s Fingers which The Captain opens like the howling of a cat and we are back with the atmospheric and eclectic sound of the band. The Captain tells the story of the piano player of the title. The song is full of marine and fishing references which are reinforced by Grainger’s bellows. Again there is so much packed into this song you are in danger of suffering artistic overload, it’s like trying to listen to a musical show, watch a film and walk around an art gallery all at the same time. One of the more gentle pieces is This Is A Song with The Captain showing a much softer side to his singing but somehow still manages to keep a hint of menace and mystery in his style which contains a great deal of wordplay. The song is an epic sprawl which both soothes and keeps you uneasy at the same time especially when it goes out to the sound of an air raid klaxon. Once again coming completely out of the blue is Don’t Miss What’s Right In Front Of You which has the feel of a torch song which has been lifted right out of the Moulin Rouge. 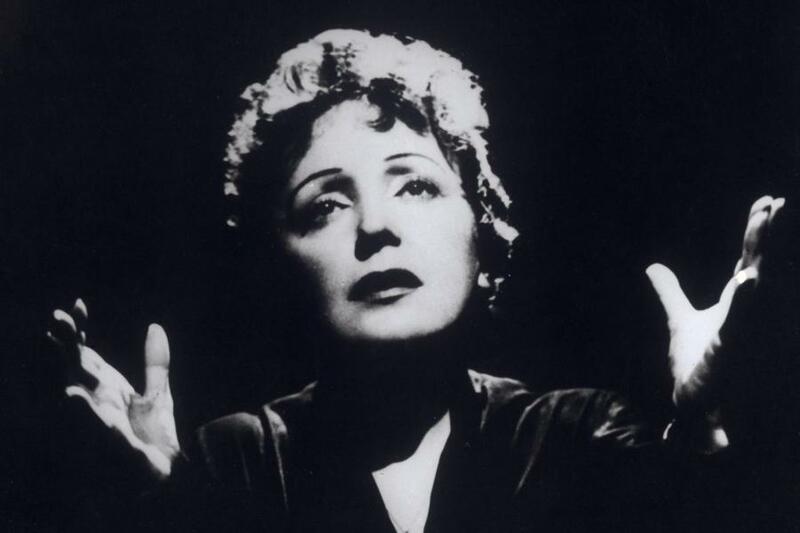 As The Captain belts out the lyrics you cannot help but think of Edith Piaf. The band go out with an epic tune, Mr Many Men. which lasts almost half an hour. Using the metaphor of the Mr Men the band outline how complicated people are with their personalities made up of many thoughts, beliefs and characteristics which change through circumstance or need. At more than 28 minutes long you kind of wonder where this is going then when the song fades out with more sound effects there is almost nine minutes of silence which ends with what can only be described as a reprise of Freddy’s but you soon realise there is almost an album within an album as more and more tracks come along. Afterlife could easily be lifted from a West End musical. Strangely enough, although obviously not strange for COLW, there are other effects and songs which could well be the hidden gems. To use a well worn phrase this is an album with many layers, it’s constructed like a concept album in the vein of something from Pink Floyd yet the fractured parts somehow don’t really fit that mould. There are other bands out there such as Ma Polaine’s Great Decline and Threepenny Bit who bring a great deal of theatrics into their music but not quite on the scale as COLW have done. There are all sorts of adjectives and superlatives you could foist upon this album and most of them would fit but it’s simpler to say this is more than music, this is theatre and art and great storytelling but it would be a brave man who would wander into the minds of the musicians which created it without the aid of a safety net. Hidden Gems is available now from the band’s website. You can also catch them live in the New Year on January 29 at Lucinda’s Lounge, The Bloomsbury Tavern (upstairs), London. Show starts 7.30pm and tickets are £5. Then on February 9 you can catch them at The Cellar Bar, Laughing Badger Gallery, 99 Platt Street, Padfield, Glossop. Show starts 7.30pm. On February 11 they play The Boathouse, Chirk Marina, Chirk, Wrexham show time as above. Then it’s on to Halifax Playhouse, 33 King Cross Street, Halifax, West Yorkshire on February 16. Show time as above. The band then head on to cafe indiependent, 169-173 high street, Scunthorpe, north lincolnshire on February 17. Show time as above. To round off the month they will play The Surrey Steampunk Convivial, New Malden, Surrey on February 25. Show time as above.